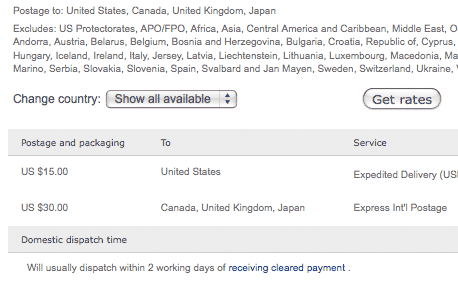 だって、アメリカから出品されているこのアイテムは、うれしいコトに Ships to: United States, Canada, United Kingdom, Japan. Hello, I am an eBay member in Japan and very interested in purchasing this lovely xxxx. I am happy to see shipping to Japan is available on this auction. But PayPal confirmed address is required isn’t it? Japanese PayPal user can not have confirmed address. Do you mind if I pay from my unconfirmed address? Hope your kind reply. Thank you.